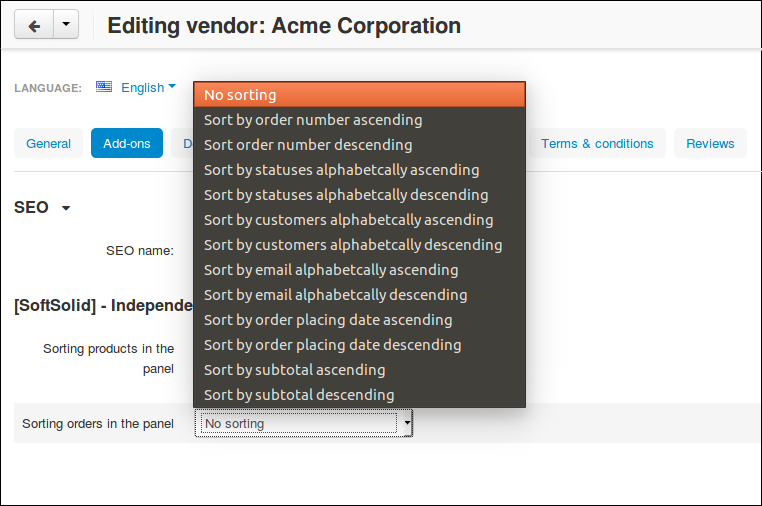 We present a new addon for CS-Cart and Multi-Vendor which enables independent sorting of products and orders in the administration panel. 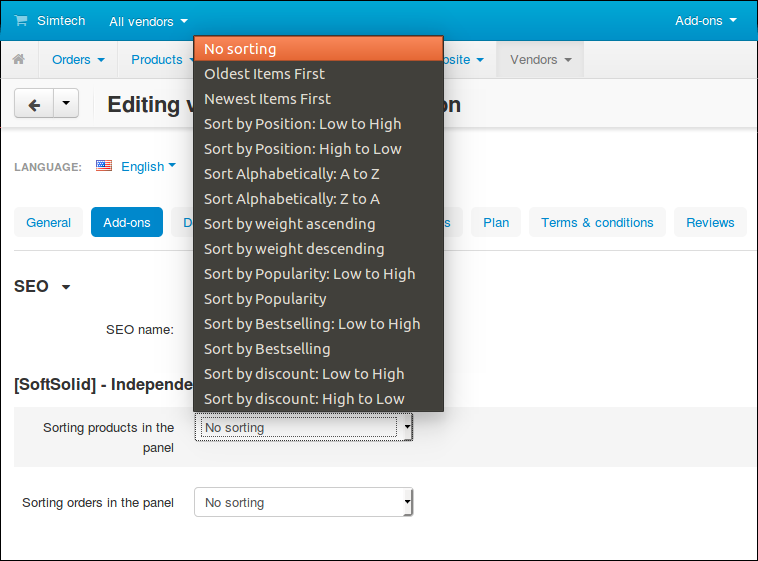 In the Multi-Vendor version, each seller can set independent sorting for his products. I use this, works well.